1. 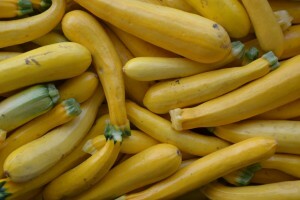 In a shallow baking pan, cover squash with olive oil and salt; let marinate for 10 minutes. 2. In a food processor or blender, puree the arugula, basil, garlic, and pine nuts. Then add oil, miso, and sea salt and blend until smooth. 3. Heat grill and transfer squash to skewers. When hot, add squash and cook until grill marks form. Turn squash to cook evenly on all sides. 4. Cover skewers with sauce and serve.